Oftentimes the best answers are the simple answers. 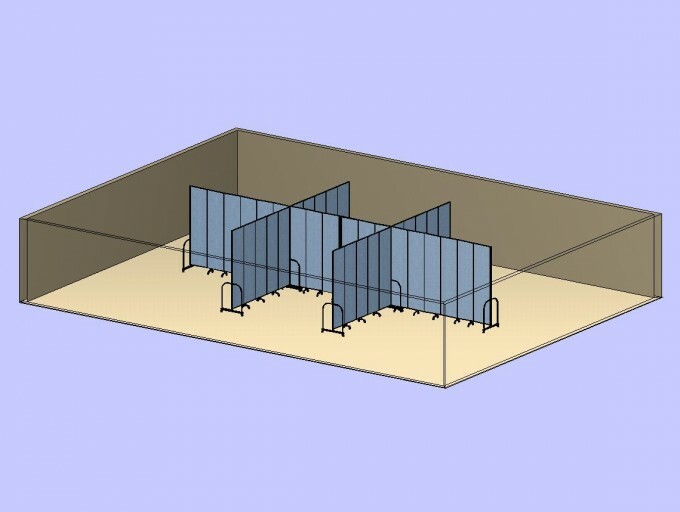 The interior designers at Defined Interiors know this and incorporated the use of Screenflex Portable Room Dividers in this school plan. Not only are the dividers easy to set up and easy to take down, panels are tackable and acoustical. The dividers use very little storage space and are attractive to look ata big plus from a designers point of view. They specified only six Screenflex Acoustical Room Dividers to create six separate rooms. Simplicity at its best!